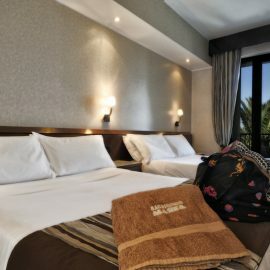 Superior rooms have every comfort and have a beatiful view on the sea. 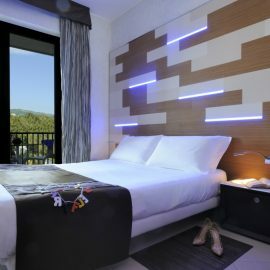 The Jacuzzi behind the bed along with the sensorial shower, the coloured lighting with led technology, the furniture and the materials will make your stay unforgettable. 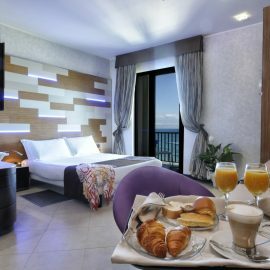 Every room is non smokers and have air conditioning, lcd television, Mediaset Premium channels with dedicated movies and soccer matches, minibar, safe, are soundproof and have free WI-Fi connection.